The racing season has started! With less than 1 second difference between Dylan Curley, Jack Finlay and Sophie Byrne in qualifying, racing was sure to be close and it did not disappoint. Dylan won both rounds, with Sophie 2nd, and Jack 3rd in Race 1, and 2nd and 3rd positions reversed in Race 2, although it was touch and go many times with very close racing and Jack pushing Dylan for first very hard! This leaves Sophie and Jack on equal points going into rounds 3 & 4 in Mondello on 13/14th April next. 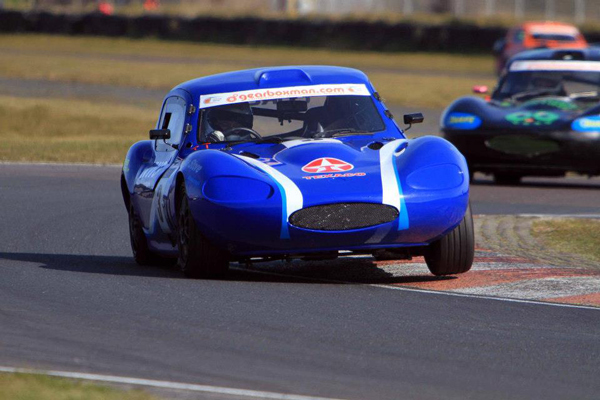 Competition will be close again this year as the winner of the overall championship will have the opportunity of competing in a Ginetta G40, supplied by Ginetta, in the UK Ginetta Jnr. Ch. Sincere thanks to Ginetta for yet again supplying such a great prize and a wonderful opportunity for our competitors and for their continued support. Our thanks to Quaife Engineering and gearboxman.com for their sponsorship again this year and to Mondello Park for their support. Championship positions after rounds 1 & 2 - Dylan Curley, Sophie Byrne and Jack Finlay (equal points), Luke Hourihan, Charlie Linnane.